OUT of the frying pan, into the mouth of an erupting volcano. That is the situation for Alex de Minaur as he prepares to tackle one of the all-time greats. The young Australian started brightly against Swiss qualifier Henri Laaksonen on Wednesday night and had a big opportunity to wrap it up in straight sets. He lost the third in a tiebreaker, however, and looked spent when Laaksonen claimed the fourth to force a decider. 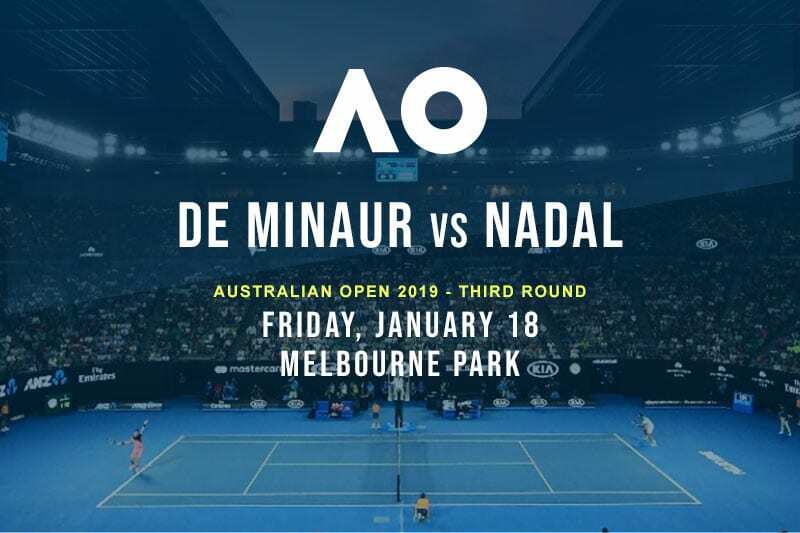 Despite his obvious fatigue, de Minaur rallied to win the final set 6-3 and reach the last 32 at the Australian Open for the very first time. 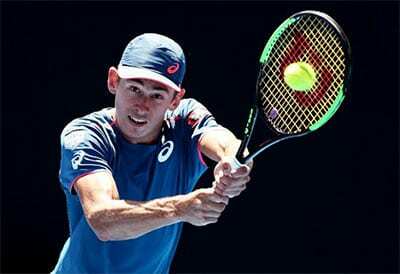 It is that relentless fighting spirit that has Aussie tennis fans so excited about the diminutive 19-year-old from Sydney. Friday’s fixture poses a different challenge altogether. 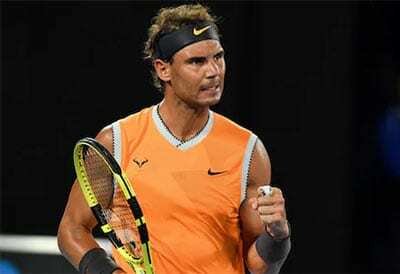 Rafael Nadal has already taken out two of local hopes, dispatching James Duckworth in the first round and following up with a routine win over Matthew Ebden. What’s more, the Spaniard is no stranger to de Minaur and the problems he poses. The two met in the third round at the Wimbledon Championships last year, where Rafa claimed an easy 6-1, 6-2, 6-4 victory en route to the semi finals. The 17-time major winner will hope for a similar outcome as he shoots for a fifth Australian Open final appearance. For Alex, it is all about sussing out where he can make a dint and deliver some value. He has played a lot of tennis already this year and looked short of stamina once the match went beyond three sets on Wednesday. Don’t expect any miracles, but look for the emerging Aussie to start fast and rack up some games when his energy is up early on. Barring accident, injury, or death, there is no way Nadal is losing this match. Expect a good, honourable fight from de Minaur, but this should be over in straight sets.